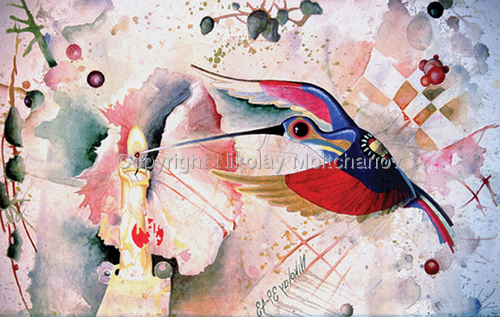 "Bird Drinking from Candle Light"
Watercolor on paper, 10" x 8", 1993. 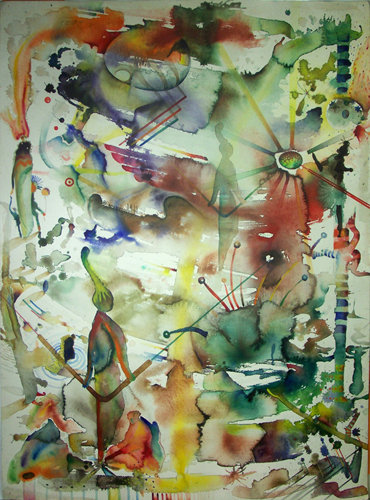 Watercolor on paper, 14" x 10", 1995. 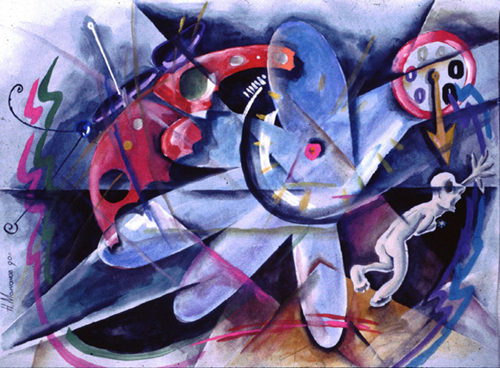 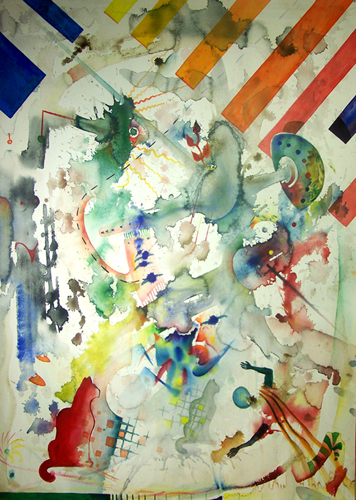 Watercolor on paper, 30" x 22", 1997. 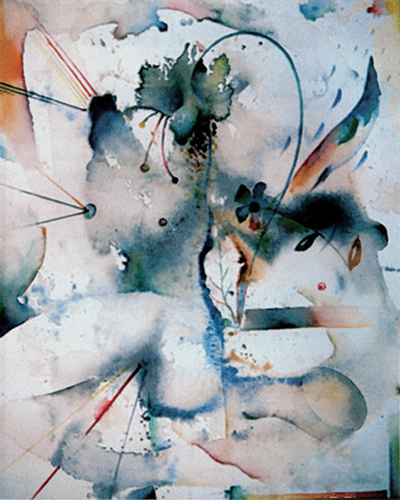 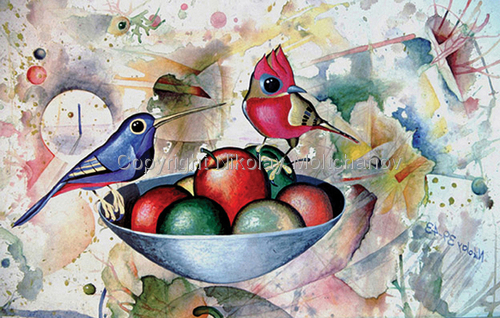 Watercolor on paper, 22" x 17", 1997. 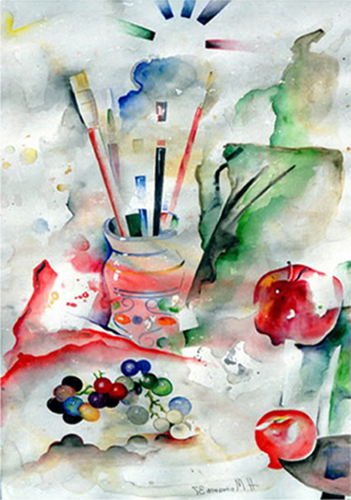 "Still-Life with Italian Vase and Fruits"
Watercolor on paper, 22" x 17", 1995. 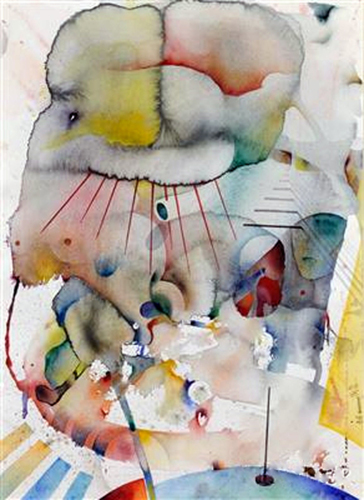 Watercolor on paper, 22" x 17", 1996. 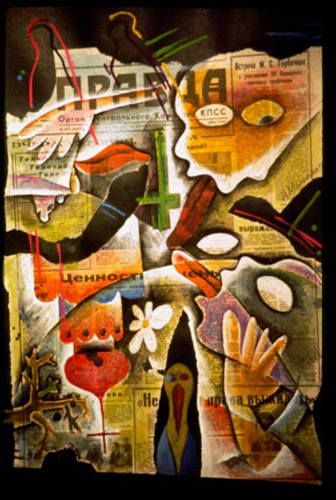 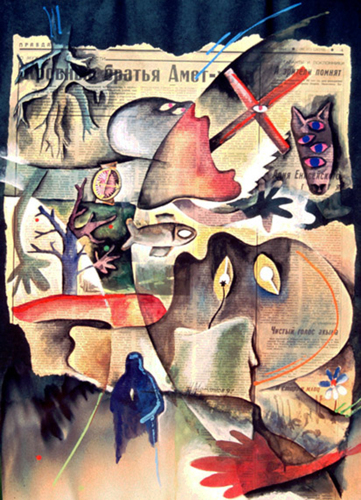 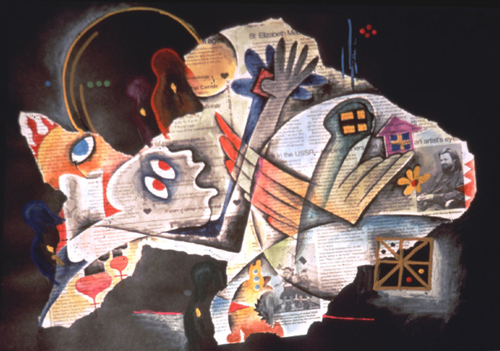 Watercolor on newspaper on poster-board, 22" x 17", 1992. 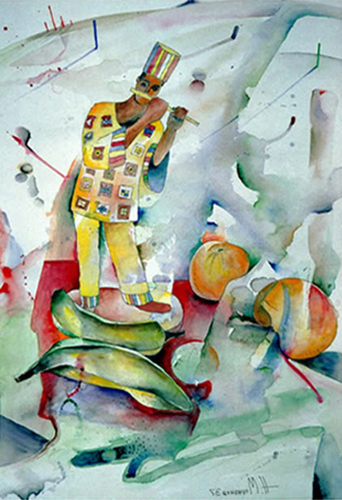 "The Clean Voice of Akyn"
Watercolor on paper, 8" x 10", 1990.